This entry was posted in ATMC and tagged Alternative Healing Practices, Anxiety Disorder, Depression, Environmental Medicine, Holistic, Insomnia, Psychiatry on February 5, 2019 by ATMC Team. The Alternative to Meds Center is a licensed treatment program which treats mental health and addiction much different than the average rehabilitation center. Specializing in holistic psychiatry, environmental medicine, and addiction treatment, Alternative to Meds helps an individual become more than just a diagnosis. Helping to find underlying causes, exploring the addictive biochemistry, and providing a wealth of knowledge in alternative healing practices, Alternative to Meds Center staff is able to help individuals recover from previous diagnoses, best exhibited in 5 reasons why ATMC is different. The key to recovery from mental health problems like depression, anxiety, or insomnia, is to take a look at the whole picture. An individual’s health is affected by many factors including environment, family history, trauma, diet, and brain chemistry. By doing a thorough investigation into these factors, our program is able to provide a more well rounded approach than a typical rehab facility. While Alternative to Meds does realize that counseling and therapy play a major role in recovery, our program offers a variety of additional adjunctive treatments in an effort to provide the most well rounded treatment approach possible. Clients have access to treatments that help remove neurotoxins, support gut health, lab testing for underlying issues like heavy metals toxicity or genetics, as well as an educational aspect to help become familiar with holistic lifestyle and treatment modalities. A successful participant of our world class program will leave treatment knowing the best ways to stay healthy and beat their mental health diagnosis or addictions for good. While Alternative to Meds Center does offer a multitude of effective holistic treatments for mental health and addiction, we will focus on the five reasons that our Center is different from most other facilities. For anyone looking for the best treatment program for themselves, Alternative to Meds offers a more individualized treatment environment than most of the other cookie cutter type rehabilitation centers. For details about how we would treat a specific case please contact us. At Alternative to Meds Center, each individual is treated uniquely. While we do advocate for a community oriented space and encourage social interaction, our medical team also takes the time and effort needed to investigate each patient’s history and information individually. While at many treatment programs, the doctor may only be seen in the beginning, or very rarely, Alternative to Meds offers weekly meetings in which each participant has the opportunity to meet with the medical and clinical team overseeing their care. Decisions regarding medication doses, medication tapering, nutrient and supplement protocol, and diet, are all done in a format where the client gets to have an active role. Each person enrolled at Alternative to Meds is given a staff member to personally oversee their care, and access to staff is available around the clock when needed. Being able to look at each individual’s brain chemistry, addictive biochemistry, and life circumstances helps our team find ways to help the individual recover by using targeted therapies and nutrients. While working with the medical team, a counselor, and the support staff at Alternative to Meds, many people are able to uncover behavioral patterns or underlying issues that a previous doctor had not discovered. The close care and attention by the licensed specialists at the Alternative to Meds Center is one aspect that sets our standards far above the average treatment program. Sedona is known as a healing place. Travelers come from all over the world to heal and reinvent themselves in Sedona, Arizona. At Alternative to Meds, we chose to be located in Sedona, AZ for that simple reason. People from across the world come to our location with life-changing goals. We help people who are wanting to come off antidepressants after 10 years, safely taper off Benzos, or find an alternative to antipsychotic medications. And, in attempting to recover from these issues, it is possible for someone to get a second chance on life. Sedona offers a beautiful location in which a person is surrounded by new and thrilling landscapes, as they begin to work on themselves and heal. Our inpatient facility is set up to immerse each participant in the beautiful healing backdrop of Sedona. We are located in a comfortable and therapeutic setting in which private rooms are available. Activities in Sedona such as sightseeing, hiking, biking and exploring, are all a part of the schedule here. We like to remind participants of where they are and how beautiful the setting is, because for many, it is hard to find anything to be grateful for while they are going through the misery of medication withdrawal. Anyone with a history of inpatient treatment or hospitalization will find Sedona to be a welcome change that often sparks an enthusiasm to make positive life changes occur. At most treatment programs, and for many Americans, diet is not really something that is paid attention to. Unhealthy foods, lack of portion control and overuse of caffeine, found at many treatment centers, are addressed at Alternative to Meds program. We believe that what we take into our body affects our moods, energy levels, and overall health. Our trained team of chefs prepare each meal to be as healthy and nutrient rich as possible. A common dinner at Alternative to Meds Center is gluten free, dairy free, all organic, and consists of whole foods with equal availability of cooked and raw foods. Our philosophy is to help each individual find the best diet to suit their brain chemistry and unique set of circumstances. Food preferences and food allergies are both taken into consideration when developing each client’s meal plan. Not only do we go the extra mile to make sure each client gets the nutrients needed during meal time, but we also provide education seminars in regards to eating healthy, and why it’s important. If you want to make sure you have a healthy inpatient treatment experience, Alternative to Meds Center is far more accommodating than the average rehab facility. Alternative to Meds is one of the only inpatient mental health and addiction centers to offer a program focusing on the neurotransmitters. Most treatment programs will follow a traditional psychiatric treatment plan with medication management. At ATMC, we want to investigate for the presence of heavy metal toxins, or environmental toxins, that could be contributing to the patient’s overall health. We have seen cases in which a toxic burden will cause a patient to have issues with anxiety, depression, or even insomnia; so, a big aspect of our program is to make sure that neurotoxicity isn’t making the symptoms worse. Through the use of effective holistic treatments such as nutrient therapy, IV therapies, or other adjunctive treatments, our team of experts help make sure each client leaves feeling revitalized after going through a complete Neurotransmitter Rehabilitation program. 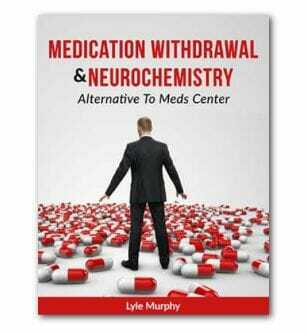 Oftentimes, a patient at Alternative to Meds is undergoing many changes. Recovering will often require some changes to one’s lifestyle and daily habits. As our team works with the individual to develop the best protocol for their long term goals, a daily schedule is offered for the patient to take home upon their graduation. This reminds them of everything they need to keep up with once they are out of inpatient care. For most graduates, a healthy diet and a nutraceutical protocol will be recommended, as well as adjunctive therapies and counseling when needed. For those needing extra motivation to continue on with recovery upon going home, a life coach or regular coaching could prove beneficial. 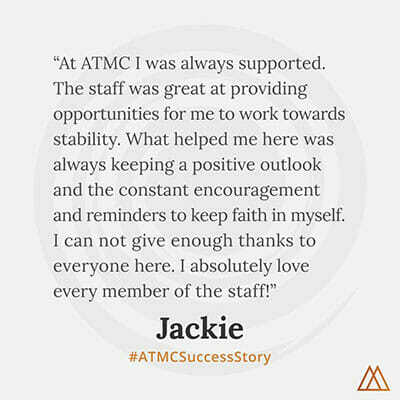 Our team at ATMC strives to make sure each patient has the tools needed to succeed upon returning home. We provide ongoing recommendations for supplement protocols and even a simple ordering process to make all go as easy as possible. To have the best chance of living drug and medication free, inquire about our admissions process for more details. Thanks for reading about all of the reasons Alternative to Meds Center is truly a unique treatment program. For more information about inpatient treatment with us in Sedona, please contact us or continue reading on our blog.